Theresa May wrote to Jeremy Corbyn last night and rejected the Labour leader’s call for the UK to stay in a permanent customs union with the EU. She has effectively ruled out Labour’s ideas for a compromise Brexit plan. The PM stressed her objections to keeping the UK in some form of customs union, as this would prevent the UK making its own trade deals. This decision comes as business groups are warning that with under than 50 days to go the departure process the UK is entering the “emergency zone”. 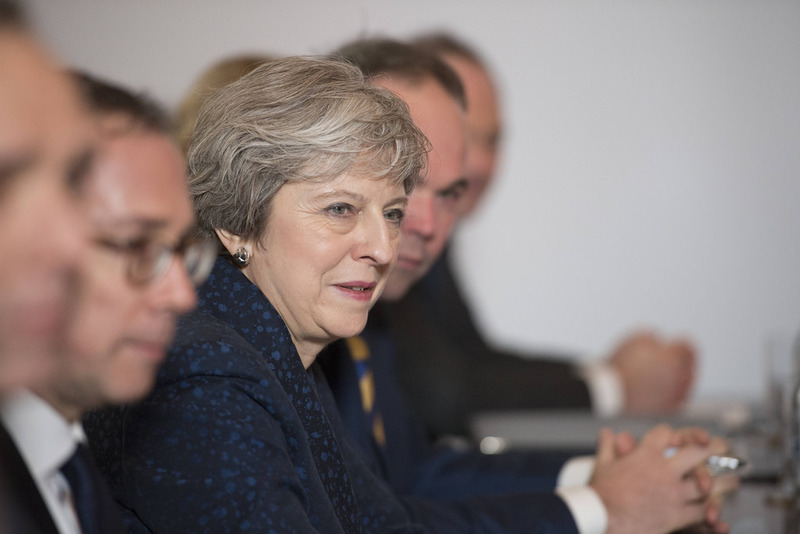 GMB, Britain’s general union, has criticised the Government’s ‘dangerous brinkmanship’ after the prime minister rejected the idea of remaining in a custom union . Tim Roache, GMB General Secretary, said:”The deal doesn’t work. Tweaks to a non-binding declaration and continually reiterating why the Prime Minister believes this deal to be good when no one else is happy about it won’t solve the problem. “It’s not as simple as ‘get a deal and move on’, move on to what? Job losses and medicine shortages? Move on to economic chaos? “We don’t just need any deal, we need the right deal, this isn’t an abstract piece of paper we’re talking about it’s people’s lives, communities, jobs and rights.